Annie Stride has nothing left to live for - she is a penniless prostitute, newly evicted from her home and pregnant. On the night she plans to cast herself from Waterloo Bridge into the icy waters of the Thames, her life is saved by Francis Maybrick Gill, a talented pre-Raphaelite painter - and her world is changed forever. Francis takes Annie as his artist's muse, elevating her from fallen woman to society's darling. With her otherworldly beauty now the toast of London, her dark past is left far behind. 5 Words: Art, passion, family, hardship, luxury. A glorious story of art and passion. First off, it has to be said that I love Marina Fiorato's books. I love reading her feisty female characters, seeing them stand on their own. 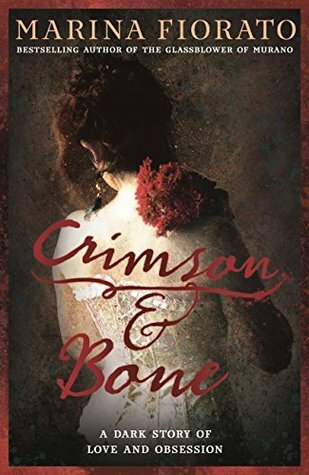 And with Crimson & Bone I was not disappointed. 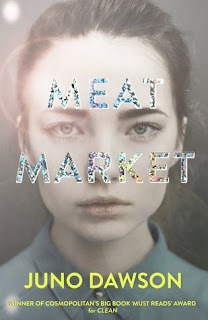 This is probably the darkest of the author's books so far, and it felt like there was something sinister lurking in the background of the story right from the start. Despite this darkness, there was always a shining thread of hope in the story, and the writing was gorgeously colourful and full of description. Each person and place came alive on the page. I loved how the theme of disguise was explored, with every character and setting seemingly hiding something. No one character was truly reliable and it lent itself wonderfully to the growing feelings of dread and unease as the story progressed, even as the setting changed. This is a deliciously complex story of Victorian London, and the art and beauty hiding just beneath the surface. What inspired you to write Crimson & Bone? I became very much interested in the relationship between an artist and a model. It’s a subject I’ve touched on before in my books, especially in The Madonna of the Almonds, but I was particularly interested in that relationship as it exhibited itself in the Victorian era. This was such a moment of appearance and reality, a time when men idealised women but abused them, a time of great beauty and great squalor. A Victorian gentleman might have a respectable wife at home, and then sneak out in the evening to do unspeakable things to a twopenny whore – remember this was the age of Jack the Ripper. Conversely, some well-to-do Pre-Raphaelites elevated quite low-born women to wifely status just by reason of their beauty. I’m thinking of Dante Gabriel Rosetti and Elisabeth Siddal and Sir Frederic Leighton and Ada Pullan. These Pygmalion transformations must have presented problems for the women who had been displaced and that’s what I explore in the novel. 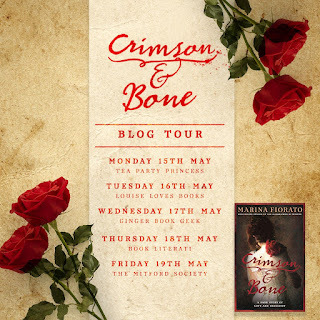 What was the most challenging part of researching for Crimson & Bone? All the travelling was wonderful! I got to explore my home city of London, from the beautiful Pre-Raphaelites hanging on the walls of the Tate to hideous things floating in bell jars at the Hunterian Museum. I loved going to north Norfolk, a place I didn’t know at all, and of course Venice and Florence are old favourites. The hardest thing about researching for the novel was actually reading first-hand accounts of the experiences of prostitutes who worked the streets of Victorian London, recorded by the social researcher Henry Mayhew. There were some appalling tales of being kidnapped and ‘ruined’ at a very young age. Mary Jane’s story was a true one and it’s hard to step back from that. You can shut the book but the stories stay with you. I found out that when the lapis lazuli was first discovered in the mountains of Afghanistan, it was so blue people thought that the sky had fallen. Then in Renaissance times, artists chose lapis lazuli to depict the sky, so the colour returned to where it came from. I love things like that, when life is circular. What was your own favourite part of Annie's story? I like the Pygmalionizing (new word I’ve just invented!) when Annie changes from a whore into a lady. Everybody likes a make-over. But I like it even better when she changes back again and begins to control her own destiny. Can you describe Crimson & Bone in five words? Gothic, beautiful, dark, Victorian, Italian. 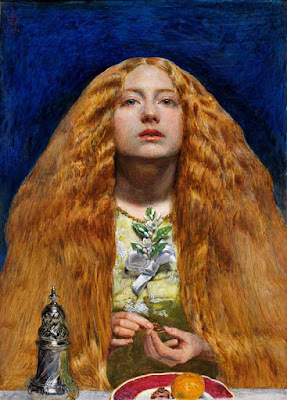 Finally, a bit of a fun question: what is your favourite Pre-Raphaelite painting? Oo, that’s a tricky one; I love so many of them! But I’d have to say The Bridesmaid by John Everett Millais, as she was my inspiration for my heroine Annie Stride. She looks beautiful, afraid, and a little bit defiant. Annie is all those things.